Is that the real Calvin and Hobbes? Yes, it is! 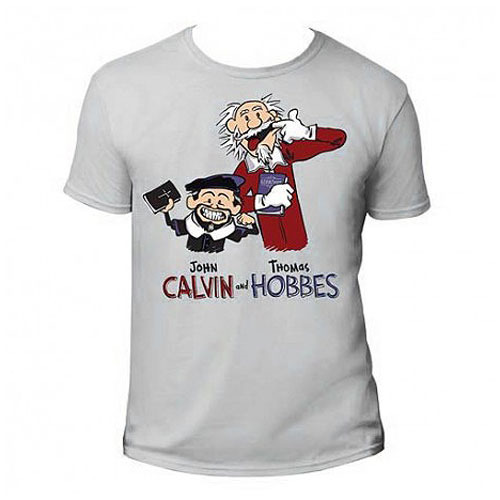 This awesome John Calvin and Thomas Hobbes T-Shirt features the comic strip icons on a 100% cotton shirt you'll want to wear everywhere.